Dressing up in the modern era is no longer just about its function of keeping the human body warm or to cover up. It is now regarded as a reflection of our personality, social status and taste in style. During interviews or socialite events, what we wear will form an impression to others. A first impression will leave a long term impact as it may promote a sense of connection and relatability. Now that we established the need to dress up well in today’s society, the million dollar question that follows will be where can one grab clothing that can help them achieve that effortlessly. On top of that, what about the bargain hunters who seek to look stylish without breaking the bank? Fortunately, there are plenty of shopping spots in Singapore, from luxury to outlet malls, to shop the most modern trends. Here, you are able to find an array of clothing and accessories pieces ranging from international brands to local designer labels and more. From retail stores along the high-end street or Orchard Road to factory outlets in Singapore, you can rest assured that you will be able to find your favorite piece of clothing at the most affordable price. Furthermore, more brands are relying on digital and social media platforms to pass on the latest news and information. There are even online review websites that share the latest deals and limited time offers that will happen in Singapore. As Singapore houses some of the most educated and well-informed individuals in the world, you do not have to worry about missing out on any of these deals. If you are a shopaholic and cannot resist the temptations of a great deal, especially for branded items, we say, take your shopping spree desires here to Singapore. Keep on reading this article as we share with you some outlet clothing spots and the items that you can expect when you decide to move to Singapore. Good locations for great deals that is sure to keep you smiling after the shopping session. From sneakers to designer clothing labels, you can visit both retail and online stores to bring home past season items at really affordable prices. There are various outlet locations across Singapore that sell an extensive range of products. If you are looking for running apparels, you can consider visiting the western and eastern parts of Singapore. When visiting these places, you may have a chance to lay your hands on products such as running shoes, singlets, socks and other accessories. For designer labels, the central and western parts of Singapore are areas that you should keep a lookout for as brands usually hold clearance sales in the malls or at their warehouses. 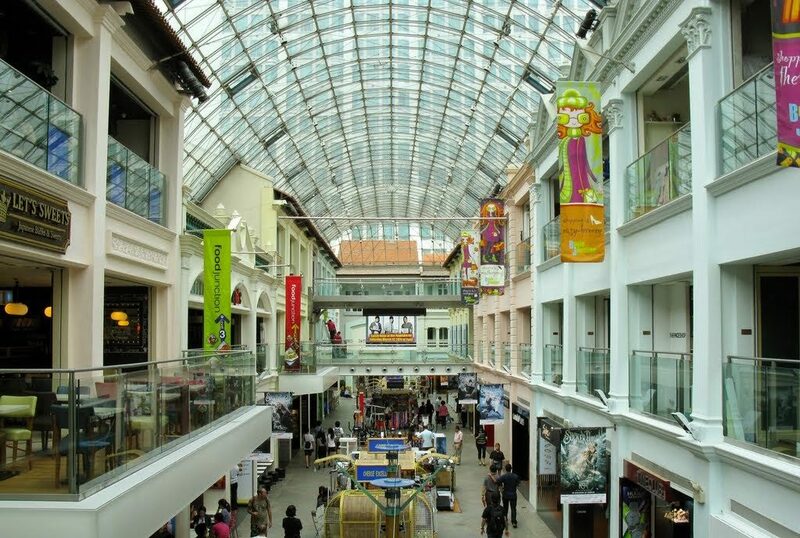 Located in the eastern part of Singapore, it is considered as one of the most common and popular shopping malls to shop for running apparels, fast-fashion and designer labels. With information available through online and social media platforms, you can gain access to the latest offers and newest release in these outlets shops. Most often, brands have up to 70% discount across certain products but there are occasions where you can enjoy more discounts. With such discounts, you can expect a long line to form during weekends. If you want to avoid the crowd, consider heading there early in the morning to get your hands on some of the best deals and items. Another hot spot of outlet shopping will be IMM. IMM is located in the western part of Singapore. Well-known for being a shopping destination for outlet items, IMM has increased the number of brands to house more international brands. There are even dining options in the basement. Conveniently located at walking distance from Jurong MRT station and other Jurong malls such as JEM and more, you can enjoy huge savings compared to purchasing from the retail stores in Orchard. As expected from an outlet mall, you should expect a huge crowd during weekends. Therefore, consider heading there earlier in the morning to catch some of the best deals and items. One of the most developed countries or cities in the world, you can shop outlet items such as running apparels, bags, clothing and more at the most affordable price. You can even purchase past season items from overseas. Besides allowing you to purchase past season items locally and overseas, you can also purchase items from resellers and third party websites. In fact, you may even find limited edition pieces sold at outlet prices. Furthermore, shopping online is considered pretty safe, reliable and more convenient as you can do everything with just a click and at the comfort of wherever you are. As some online stores have exclusive deals during certain periods of time in the year, it is important to stay informed with the latest news and offers, so keep your eyes peeled for them.